I hope everyone is settling back into “routines”. My daughter went back to school today and my husband has renewed our interest in running… ugh! I was doing pretty good running in the fall, but then winter got cold and my attention was elsewhere. It’s been over six weeks since I have run and I felt so defeated today when I got on the treadmill. Let me get one thing straight – I HATE running! I don’t like it. I’m not very good at it. I don’t enjoy it. But I do like the results that running delivers. When I started running just after Labor Day, it was hard for me to run for 60 seconds. I was that out of shape. On my last run, I could not believe that I survived running for five minutes straight! I was so proud of myself; to see the results of the hard work that I put in for three months! Better yet, I was feeling good (on the inside). But there is something about the treadmill that I just don’t like. I know, I need to get over it or run in the cold. However, I’m such a wuss! I’m going to try my BEST to keep up with the program and see it through to a 5K! I’ll be posting my updates on Instagram and could really use all the encouragement I can get! Please send some kind words of encouragement my way 🙂 I’ve been using #RFR5K (Red Faced Runners 5K) and #tryingtobefit. Please follow along and we can all try and keep each other motivated. – I’m talking you, KIM and SARAH! So, in preparation of running… I had to make some cake pops 🙂 Just for you! Today, I made some Marbled Cake Pops. These are really easy to make. Simply measure out 6 vanilla and 6 chocolate cake balls. I used my Norpro Cookie Scoop to get equal sized cake pops. Then, cut them in half, put the two halves together and roll smooth. You can flatten the halves and fold over a few times to get more of a marbled effect inside. Just don’t over do it and blend the two colors. Pop them in the fridge and then melt your candy coating. Remember, slow and low heating for your candy melts. 1 minute on high, then 30 second interval at 70% power with lots of stirring. Don’t get the candy too hot – it’ll get thick! Dip a 1/4 inch of the stick into the candy and then insert half way into the cake ball. Add all your sticks first and allow to dry. Dip completely in one color and quickly drizzle second color over the wet coating. Twist the cake pop in one direction allowing the excess coating to pull the design and create the marbled effect. Once it’s done dripping, stand upright and allow to dry. I know this is a bit more advanced decorating technique and I do have plans to make a video on how to do it SOON! I promise. For more tips on cake pops, check out my post on Rolling Cake Pops, Making Marbled Cake Pop, and Melting Candy Coating and don’t forget my YouTube Videos! Keep Running, Karyn! Is there an indoor track you could use? I love running around a track, because I can see how far I have gone and how far I still need to go! My goal is to do a 10K this year. I have a long way to go…but I'm gonna do it! I hate running on a treadmill! But I have to, the cold and my body hates the concrete. I'll run with you, at least virtually. I really need to get back on it. 🙂 These are gorgeous pops! Lovely cake pops, Karyn! Thanks for sharing at Foodie Friends Friday! These look amazing! Thanks for stopping by my blog! Those little bites are simply gorgeous! That's a new one on me…You are a smartie! I will run with you too! I just joined a new gym that opens today…I'm starting Monday morning. My goal is a few 5k's this year! But first I want cake pops! I love love LOVE the swirled chocolate on these. So fancy and pretty!!! You are my go-to for cake balls advice! I've consulted your blog several times! But these are brilliant and beautiful! I love the swirl, inside and out! Oh my gosh! This is such a fun twist. Never seen marbled cake pops before! You are the cake pop queen! They are always wonderful. Clever, I have made cake pops but not like this!!! See you tomorrow at Let's Get Social Sunday!! Love these! 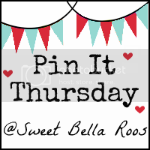 Featuring you later this week from our Pinworthy Projects Party! Karyn, these look amazing!! I'm not sure I'm talented enough, but I love how they turned out! You always have the most awesome Cake Pops! Thank you so much for celebrating TWO YEARS with FULL PLATE THURSDAY, I appreciate your visit! These look delicious and beautiful! You are a featured favorite this week on Saturday Show & Tell at Cheerios and Lattes! Thanks so much for sharing last week, we can't wait to see what you've been up to this week! Adorable! You always have such pretty creations! Karyn, you are so talented! These are gorgeous!